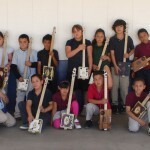 Cipriano Vigil makes a variety of cigar box guitars. 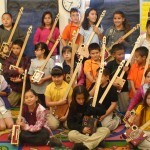 These are unique musical instruments which are playable and easy to learn. 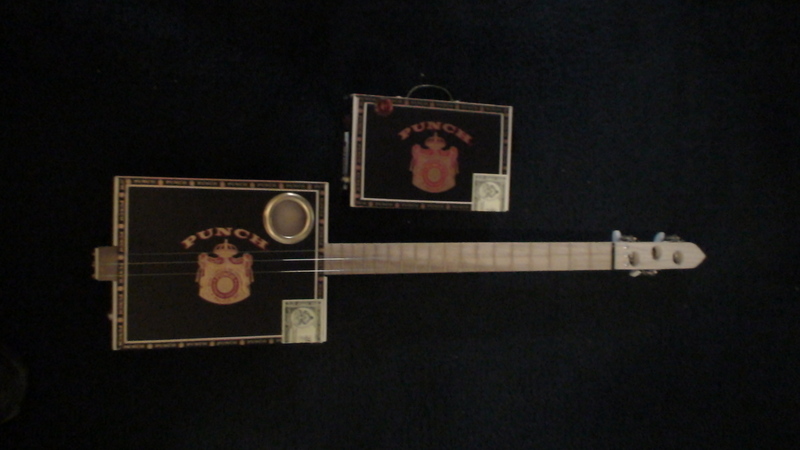 They are made electric and come with a matching cigar box amplifier. 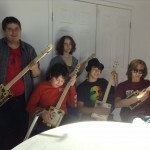 The amplifiers are battery operated. 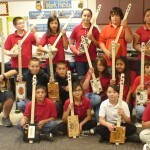 Each instrument is unique and each comes with a different box. 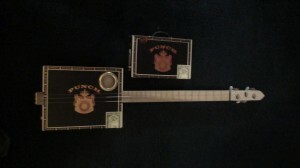 They have three strings (G, B, E) with either gold plated or black plated gear tuners. 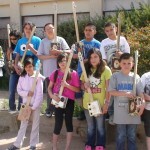 These are excellent instruments for young boys and girls to begin their musical career, and at a minimal cost. 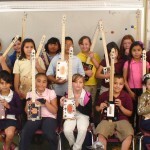 There are many to choose from! 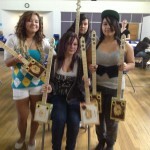 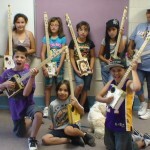 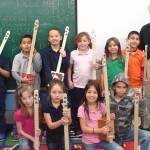 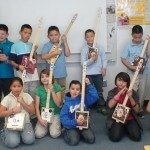 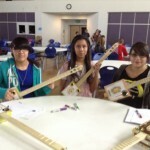 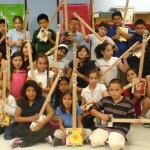 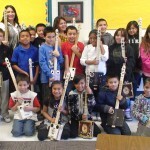 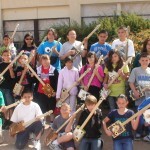 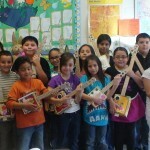 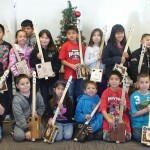 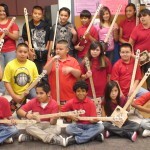 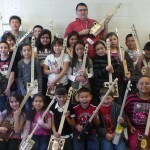 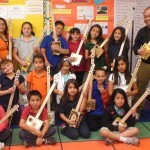 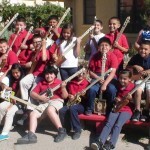 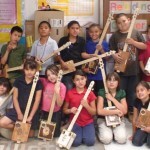 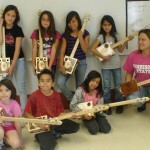 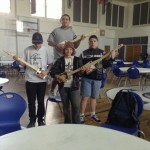 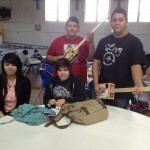 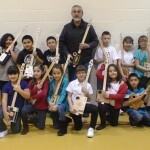 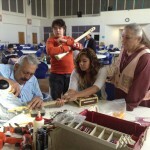 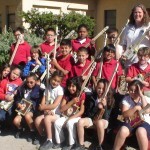 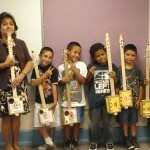 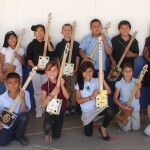 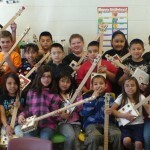 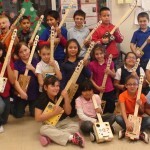 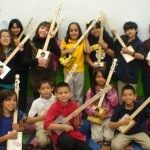 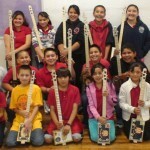 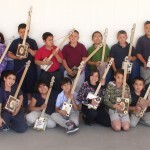 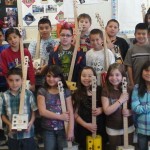 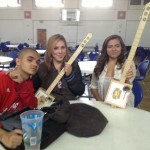 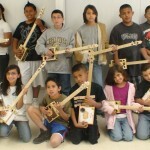 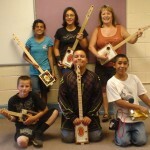 Cipriano is also available to come to schools and teach students how to build cigar box guitars, supervising students of all ages as they create their own instruments, as shown in the images below. 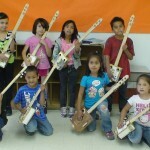 For more information on availability and pricing, please contact Cipriano. 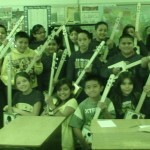 To view an image, simply click on it. 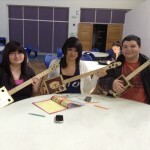 Then use the arrows to move from one picture to another. 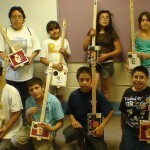 To exit the gallery, press escape or click the X in the upper corner.